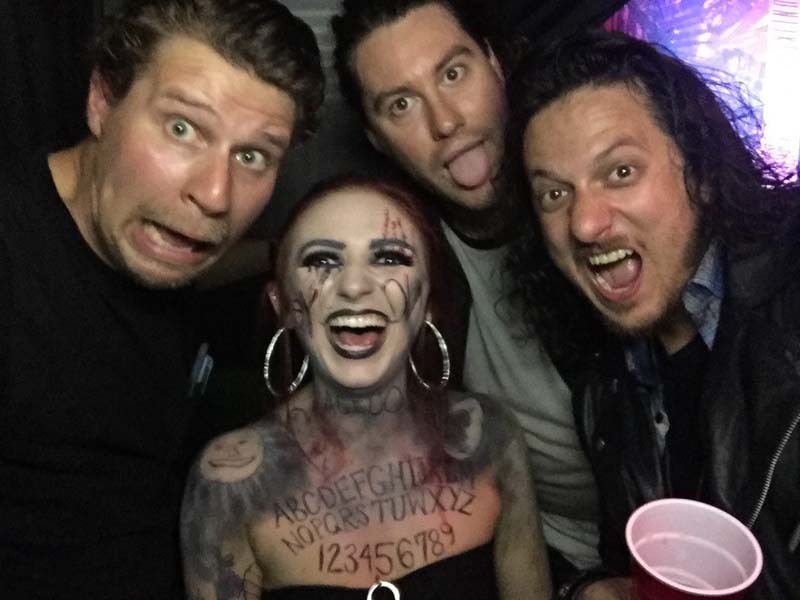 Kyle Morris, lead singer of The Unlikely Candidates, broke his foot on tour, but that didn’t stop him from putting on insane performances the last few weeks. 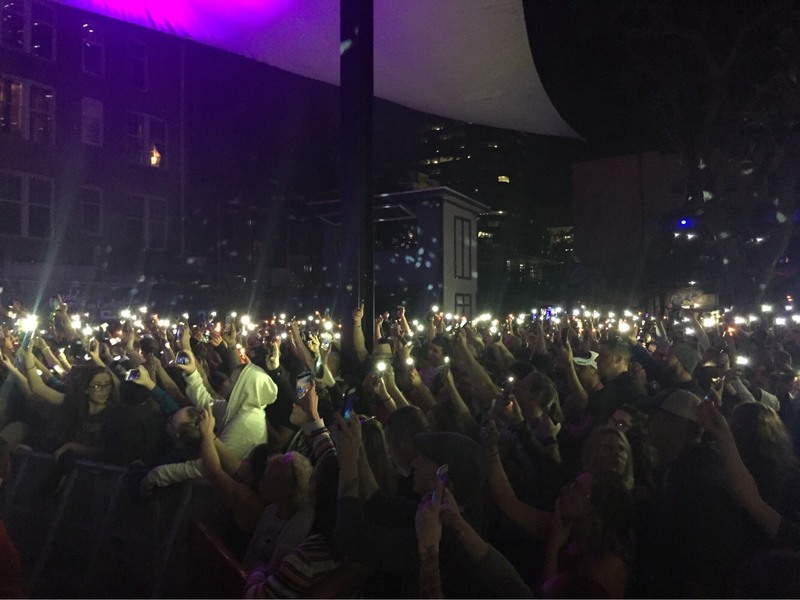 TUC, an alt-pop band from Fort Worth, Texas, just wrapped their month-long tour with reggae favorites Dirty Heads, and they had some pretty surprising encounters along the way. 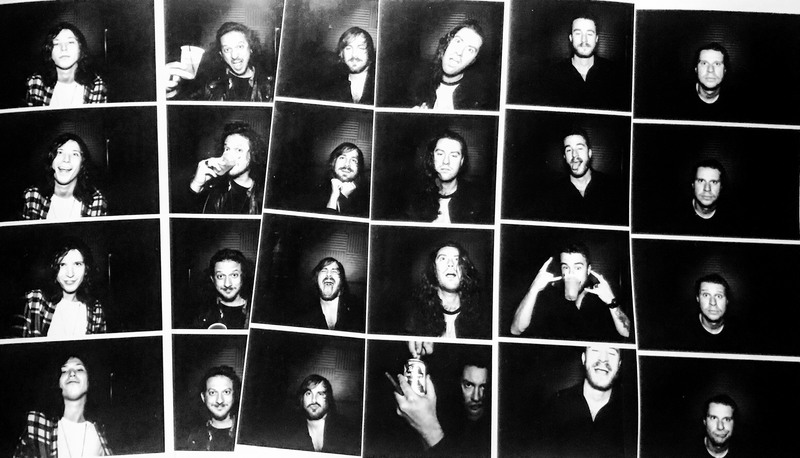 The quintet was touring in support of their latest record, Danger To Myself, which champions their signature hooky, energetic sound––think Imagine Dragons’ dynamic instrumentation meets Panic! At the Disco’s powerful vocal delivery. The guys kicked things off in New England with a show at Lupo’s Heartbreak Hotel in Providence, Rhode Island before making their way to Canada, the Midwest, and the West Coast. 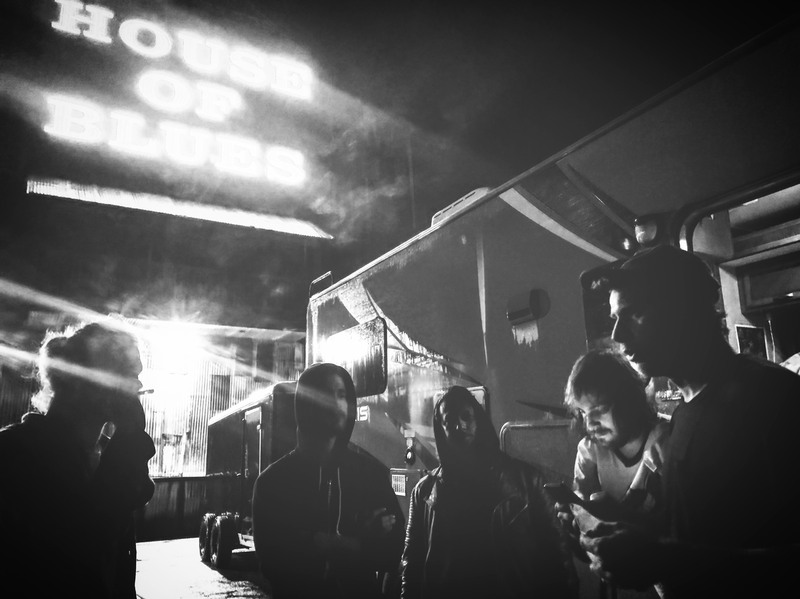 On the run, the guys not only lived the quintessential tour life (pre-show tequila shots for the win), but they also experienced some highs like (almost) eating clam chowder with Nick Offerman, mastering dice, and scarfing down Totino’s pizza rolls with fans. 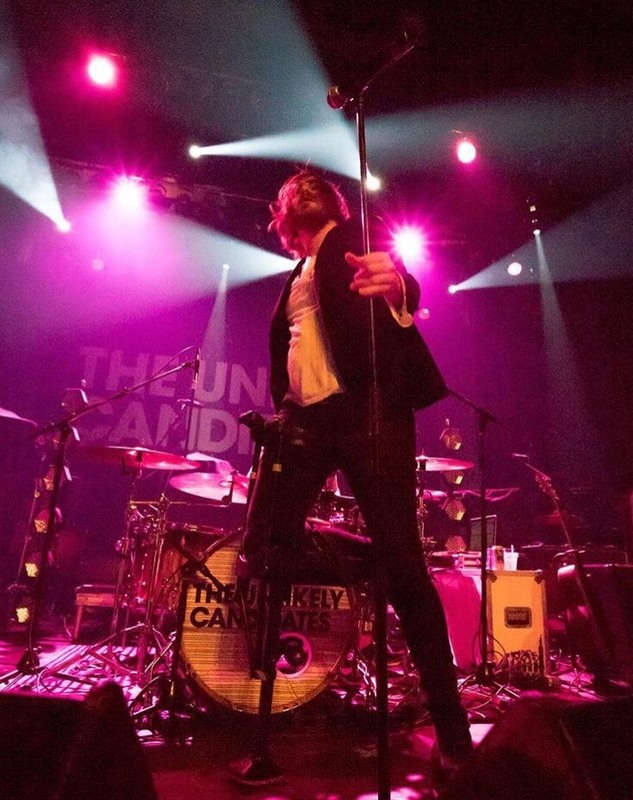 This month, The Unlikely Candidates will be returning to their stomping grounds, playing shows with Grizfolk and Walker Lukens in Fort Worth, Houston, San Antonio, and Austin. We caught up with Morris, who gave us the rundown on some of the highlights from the band's last tour. 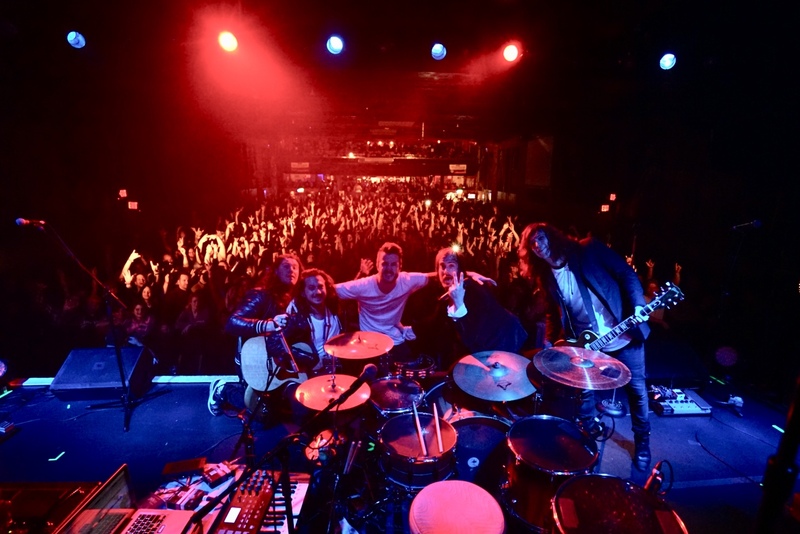 Check out the photos below, then make sure to Track TUC on Bandsintown to catch them in your city! 1. This picture of us taken at Bogarts in Cincinnati, which happens to be a venue where my dad, uncle, and aunt used to watch shows and drink at when they were my age. It was cool that it turned out to be one of my favorite shows on the tour. Got a little photo to commemorate it. 2. 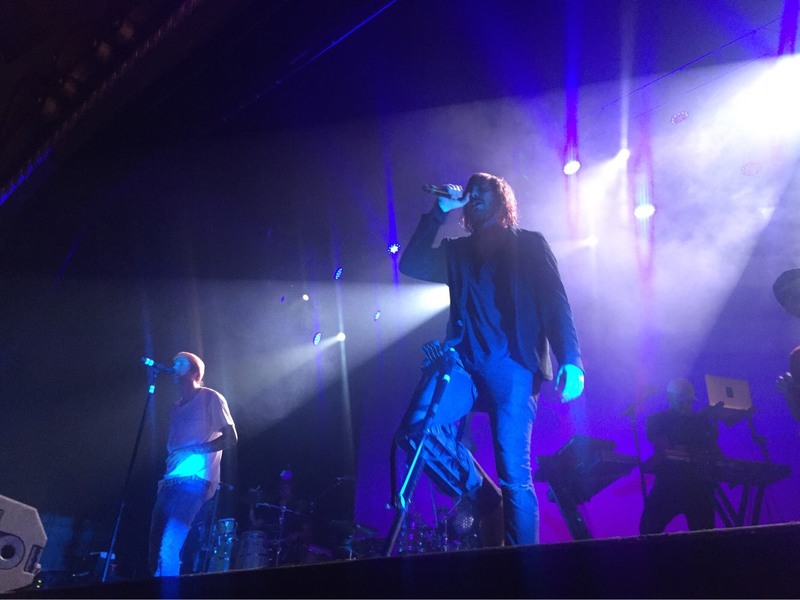 I've had a broken foot this tour and have been using a peg leg crutch to get around on stage. I'm a pretty energetic performer on two feet, I like jumping off stages and getting into the crowd. While I have gotten really good at performing with the peg, it's still a bit of a drag. On the upside, in Florida we were playing and out in the middle of the crowd everyone started chanting "Pirate, pirate, pirate." It was hilarious. I think then I fully realized the power and novelty of the peg. It's been a challenge but I'm glad people are digging it. 3. On the Dirty Heads new album, there is a song called “Celebrate” that I sing the chorus on. It’s a beautiful song about following your ambition, but then looking back at how far away it has taken you from the ones you love and who you used to be. I have been performing it live every night with them and the reaction has been crazy. Sold out crowds that know every word of the song and are singing it back with a bit of their own lives in their voices. We played a big outdoor show in Florida on the second date of the tour. I was way up on this tall stage looking down at two thousand people all singing back my words while standing on stage with with the Dirty Heads. It was all very surreal, but it really made that song come alive for me. The chorus has a part in it about singing to a big crowd of fans far from home and when I sang that line it all connected. Art had become life and life had become art. 4. 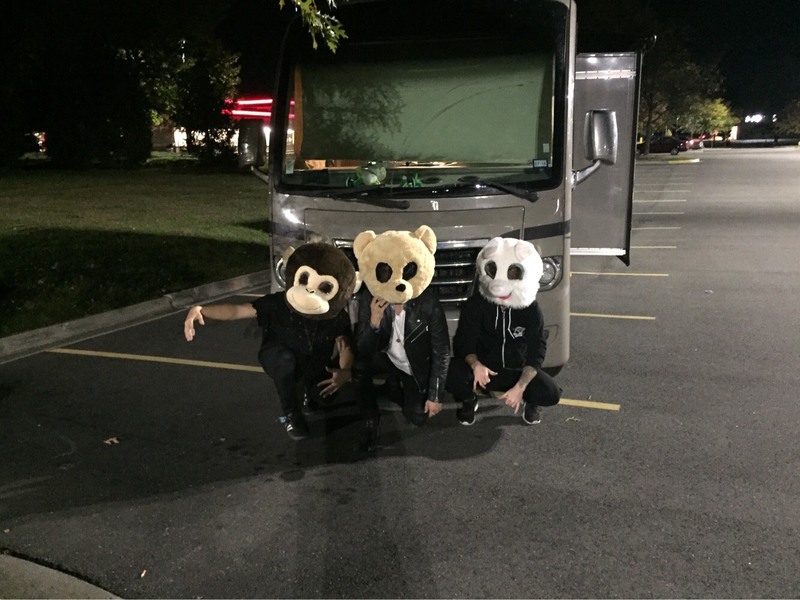 We played on Halloween in Richmond. It was a fun show and for some of the set the band wore costumes. Brent, Cole, and Kevin in Monkey, Bear, and Rabbit mascot heads, Jared in our Mysterio the luchador mask, and me as a Pirate (complete with my peg leg). The real show was after the performances ended. Our friend Ray drove us to all the strange hot spots in Richmond. We hit a big hip dive bar that had karaoke going on. Ray and I sang "I Believe I Can Fly" and got some lighters in the air. 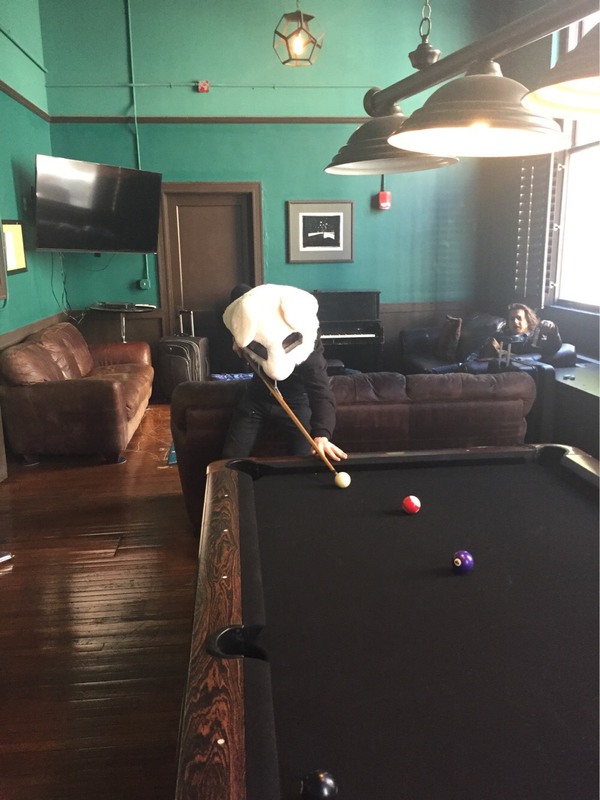 After that we played pool in a goth bar that had gruesome creepy decorations all over the walls that I am pretty sure were not put up for Halloween. Last stop was an after hours bar that looked like a larger seedier version of the bar from the famous clockwork orange bar scene. Looked a little iffy at first but after a while the bar filled with some interesting characters, scenesters, and college kids all in costume. There were also zombie dancers in the middle of the room. Hats off to Richmond for being weirder than we could have imaged. 5. I've no idea why, but the go-to time burner this tour has been the dice game. 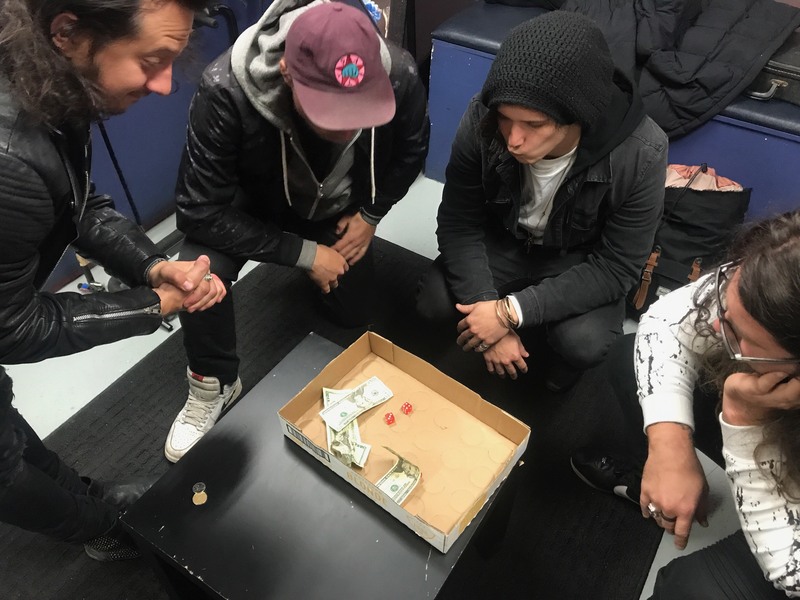 Cee-lo, Jared, Cole, Brent, and our tour manager Evan will all throw their spare dollars on the ground and roll the three dice praying for a 4,5,6 or some other winning combination. In a particularly memorable game, the pot was 40 dollars and Evan walked out of the room victorious, as shouting and swears echoed throughout the green room behind him. 6. The Dirty Heads always do a pre-show ritual where Shawn will read a toast he wrote for the day and they all do a shot of tequila. We were in Myrtle and they invited us all to join. The DH guys are all really good dudes and they a festive vibe about them and their music, so it was awesome getting to step into their world and be welcomed to the party. 7. It should be no surprise that the Dirty Heads fans are pretty chill. Two girls we met at the show let us park outside their house and invited us in for nacho Totino's rolls. 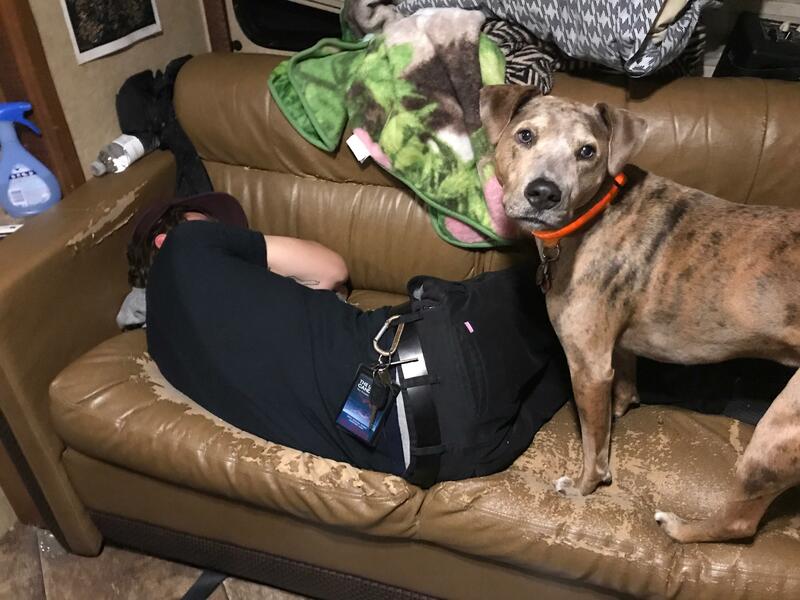 They also had a cool dog that came and hung out in the RV with us for a while. 8. Behind the House of Blues in Myrtle Beach is an alligator zoo called Alligator Adventure. Bands that play the HOB get in free, so all of us checked it out. 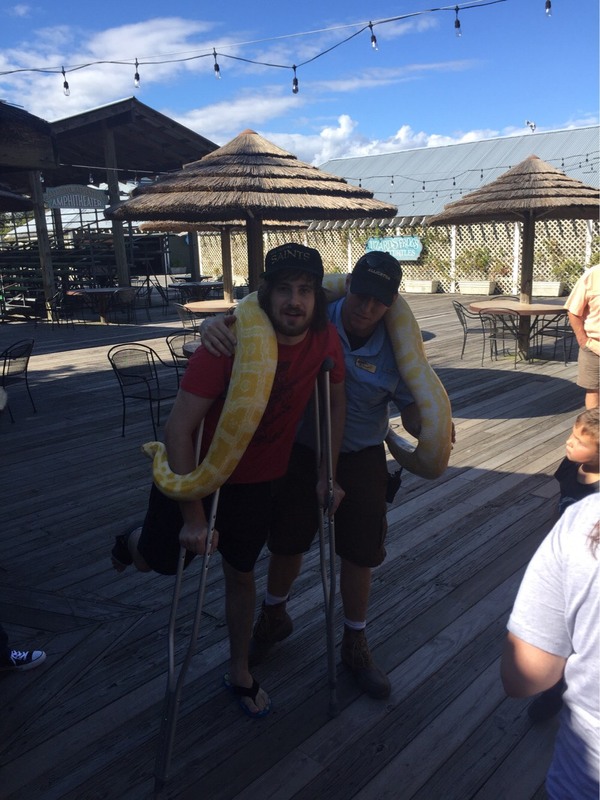 We saw an albino alligator, some little monkeys, Cole got in trouble for running with the hyenas across the cage, and Duddy from the Dirty Heads and I both got to put a giant yellow python around our necks. Good times at the gator park. 9. This one is a bittersweet memory. In Portland, Maine we went to this amazing little diner that was right on the dock called J's Oyster. 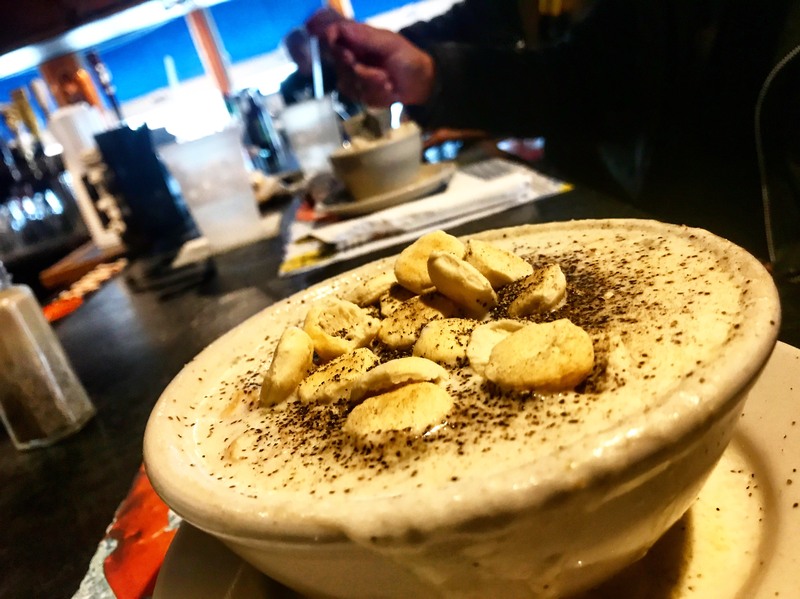 It was some of the freshest seafood any of us had ever had and we had some amazing clam chowder. What we failed to noticed was that Nick Offerman (Ron Swanson on the show Parks & Recreation) was eating at a table behind the bar we were sitting at and we were all in such a heavy chowder haze that none of us noticed. Such a bummer we missed him, but super cool that we were at a Swanson approved eating establishment. 10. 10/26/2017. This day will live in infamy in TUC history. This was the day we finally got our Chick-fil-A nugget platter. If you don't know what a show rider is, it's a list of items the venue provides to the bands performing. Amongst the items are often Five Hour Energies, a veggie platter, chips, water, booze and the occasional hummus. In addition to those, we always put one Chick fil-A nugget platter on there. Because it's outside of the normal requests, we have never gotten it. In Tallahassee, Florida we were all lounging around backstage a little bored, a little hungry, and we assumed we were Chick-fil-A-less. Then a wonderful angel of a woman named Michelle glided into the greenroom with the platter. There was laughing, there was crying, there were 6 types of sauce...it was a beautiful day.